Search Results for "water animation"
Water jogging animation. Water jogging animation. Fountain loop animation. Whirpool of clean blue water animation. Explosion of water towards the camera with shallow depth of field in slow motion. 1940s: Animated scale holds two beakers of liquids. Animated scale tips to the side holding water. Animated cylinder pours oil into beaker of water. Oil pools on top of water. 1950s: Sunlit storm clouds. Dense clouds billow on ocean horizon. Dark clouds over water. Animated rain streams downward from clouds over coastal hilly landscape. Water flowing through long grasses. UNITED STATES 1990s: Man cutting ice on lake / Men move ice block / Man lowers equipment in water / Animation of magnifying glass, text on screen / Man in space shuttle / View of earth, circle around volcano. 1960s: Truck pulling rocket part. View of open hangar. Aerial view of hangar on water. Aerial view, hangar transported on water. Animated map, line drawn to Florida. Movement of spiders in the magical water. Animated digital background. Place for text. Seamless loop. 1980s: Men in rowboat monitor water. Animated demonstration of incinerator. 1940s: View of sunset over ocean. View of water. Animated map of South America, zoom in to city on map. 1950s: UNITED STATES: scientist places glass over flame. Water forms inside glass. Animation of water molecules. Boiling water. 3d animation of bubbles moving and floating on a black background. 1960s: Two blue dots and a black dot. Diagram of water molecule. Animation of atoms bouncing off each other. Looping clip of water ripples. Animation created in After Effects. Animation of water molecules build in 3ds max. Its a science related animation clip. 1940s: Animation: water puddle evaporates in farmland by tree. Cloud forms in sky. Cloud darkens, rains onto land, puddle fills, stream flows, water travels underground. Puddle evaporates into cloud. USA, 1950s: Animation to show how much carbohydrate is needed per day. Chart showing the amount of minerals, vitamins, and water needed per day. 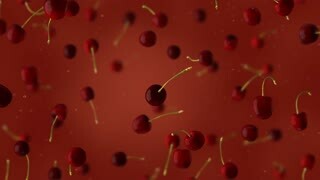 Animation of nutrients entering the blood stream. 1950s: White powder is dumped into beakers marked "COLD" and "HOT." Water is mixed. Animation. Dots move inside of gray circle. Circles are labelled "COLD WATER." Celebratory particles flow onto the screen like waves in an ocean and splash around like water. 4K UHD animation rendered at 16-bit color depth.